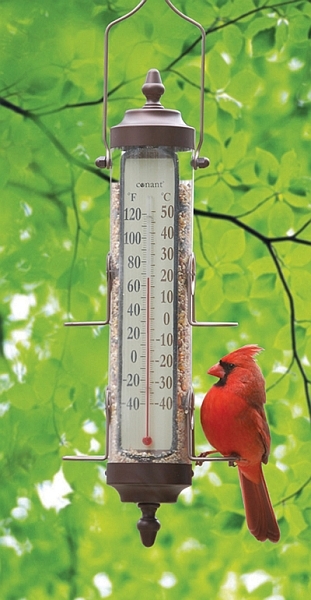 Conant Decor Grande View Bird Feeder Thermometer Satin Nickel 17.5"
Feed the birds and check the temperature outside! 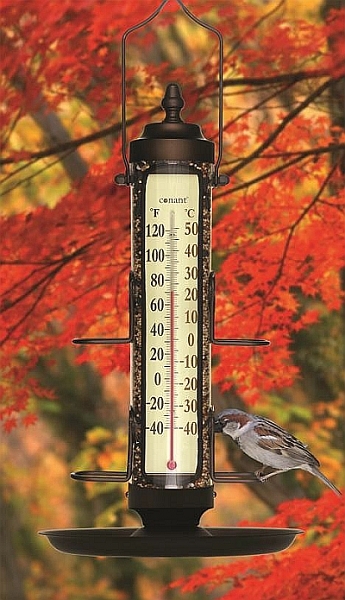 Accurate, durable and beautiful, the Grande View Bird Feeder Thermometer is a treasured gift for any occasion! 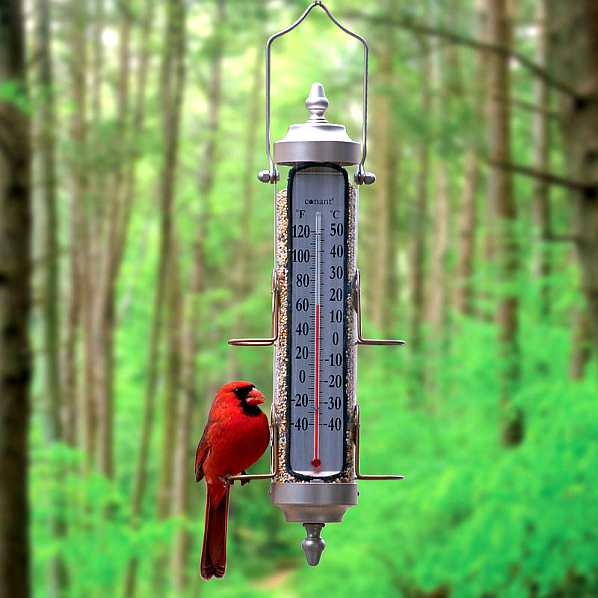 This unique product combines a tube style bird feeder with a top quality thermometer. 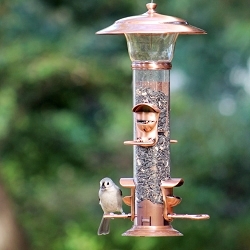 Sure to please both the backyard birder and the weather buff, this well thought out design is available in three sizes in the popular Bronze Patina and Satin Nickel finish that matches today's outdoor furniture and accessories. 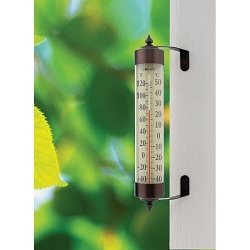 This combination two-in-one outdoor bird feeder/thermometer allows viewers to check the weather while watching birds feed. 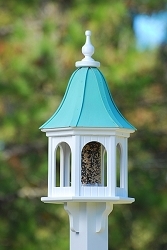 Attracts many bird types and accommodates 1 to 1-3/4 lb. 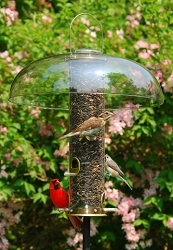 of different blends of bird seed. 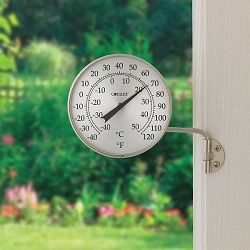 10-year limited warranty included. 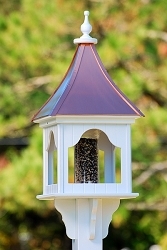 Constructed of long-lasting anodized aluminum, this unique bird feeder has a UV stabilized polycarbonate tube that resists yellowing and cracking. The secure friction fit top allows for easy filling while the quick release bottom makes it easy to clean. 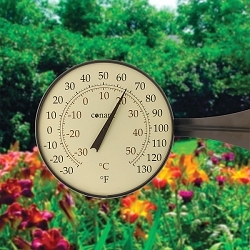 The isolated thermometer chamber stays clean, and shows temperature in both F and C (-40 to 120 degrees F). 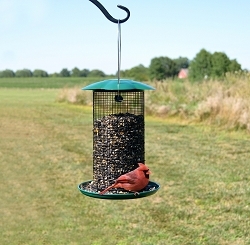 Entire feeder can be easily disassembled for more thorough cleaning. 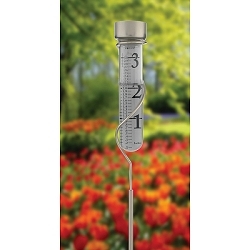 Three sizes available ranging from 17-1/2 to 24 inches tall (including hanger). 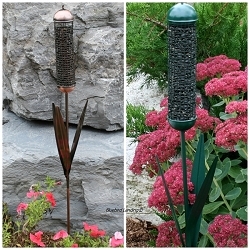 Bronze Patina or Satin Nickel Finish. Select size and finish color at checkout. Optional Seed Tray available at checkout.